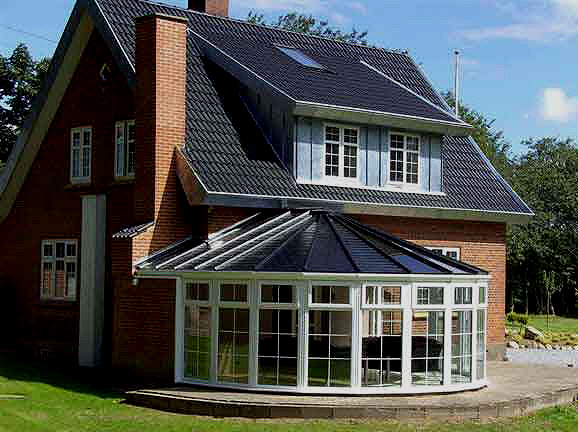 Options for designs for your new conservatory roof. Poly-carbonate sheeting is cheap and keeps the rain out (even though the rain makes a big noise) during the bad weather. However, it struggle to control heat loss or heat build up. 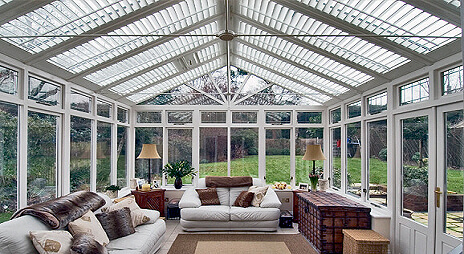 This is why many owners are considering a new conservatory roof. putting in an internal lining (careful about condensation building up on the underside of the polycarb sheets). Concrete tiles – various colours and styles. Slates – quarried natural slate looks real classy and lasts forever (virtually). Synthetic slates – not quite the same as the real thing, but very attractive, long lasting & light. Terracotta tiles – get a Mediterranean look for your conservatory. Metal tiles – may sound odd, but the new super light systems look really good. 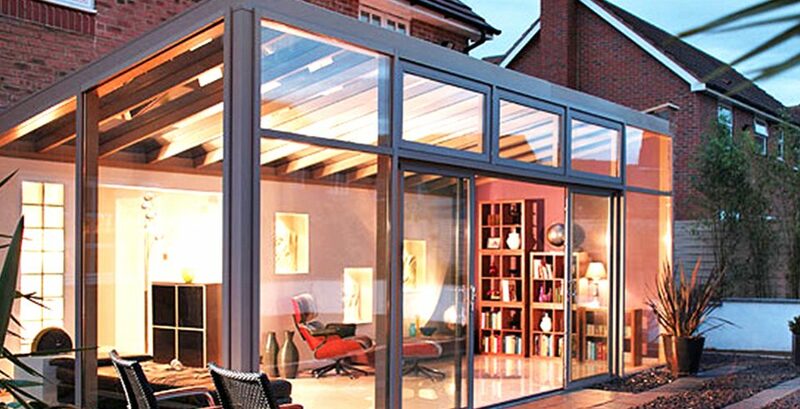 You should have your conservatory surveyed to check if it can take the weight of a replacement roof (concrete tiles get very heavy when wet). However, there are lots of lightweight options, so you should be able to find something to suit your preferences.